Sounds like this is going to be a very defensive game. Can we expect a baseball type final score? 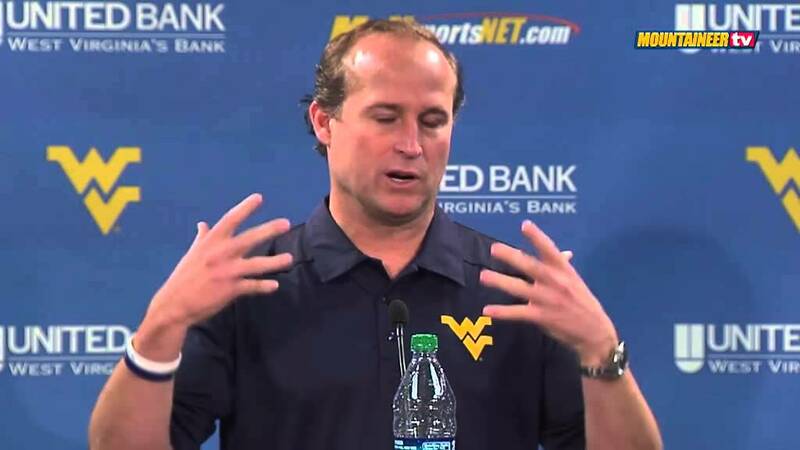 West Virginia University football coach Dana Holgorsen addressed members of the media Tuesday. The Mountaineers play at TCU Saturday at 3:30 PM on ESPNU. Looking at the TCU Horned Frogs, in preparation for this week’s game, the first thing I think about with TCU, with this being my fifth opportunity to go against coach Gary Patterson, is defense with his football teams. They are in a similar situation as West Virginia with this being their second year in the conference. Right now we are both 3-5. It’s going to be challenging. Last year I think we both went 7-5. The Big 12 is challenging as we are figuring out. When you think about TCU, it’s all about defense, they are really good on defense. They have a lot of returning starters. All five guys from the secondary last year are returning starters. They have as good of a secondary as there is in college football. I was very impressed with them last year and this year I’m even more impressed with them. This year I think they have nine returning starters on defense. They’re very well-coached on defense and that staff has been together for a while. They’ve been doing the same thing at TCU for about the last 13 years. There’s tremendous continuity within the coaching staff. They’re good against the run, great against the pass. They play the ball in the air very well. They have tremendous depth and play a lot of people, and it will be a challenge for our offense. As everybody is well aware, we haven’t been playing winning football on offense. We need to continue to improve. The team is excited to continue to improve and prepare for each week. It’s going to be a challenge. We have to be able to move the ball. We have to be able to get it into the end zone. Offensively, TCU is searching a bit for offense. They have great skill. They have three good running backs. They have great wide receivers. They obviously are going to play two different quarterbacks. I think everyone in the conference is dealing with the same kinds of things. With Kansas State, their offensive approach was a little different based on which quarterback was in. That’s not necessarily the case here with TCU. Whichever quarterback is in there, they typically do the same things, which will make it easier for us to prepare. With that said, it’s about making plays. We need to continue to make plays and put our guys into critical situations to make plays. The one thing about last week was that we played well defensively, but on about seven third-downs we played poorly. In those critical situations we have to make plays and make things happen. On special teams, they’re solid. Coach Patterson stresses that. Any time you have a strong defensive team, you’re going to be good on special teams. I do think we broke even in the kicking game last week with the exception of one of the PATs getting blocked and we weren’t able to execute the fake the way we wanted to. We broke even in the kicking game, which we knew was going to be a challenge. You can tell that TCU works on their special teams. Their kickoff coverage is solid and their returners are even better. They have good return guys, which comes with the skill that they have on offense. You can tell they pay attention to it so it’s going to be a big week for us there. It’s going to be huge week for us offensively to attack their defense. Defensively we need to continue to get better.